Sold by the each. NEW SIZE AVAILABLE!!! 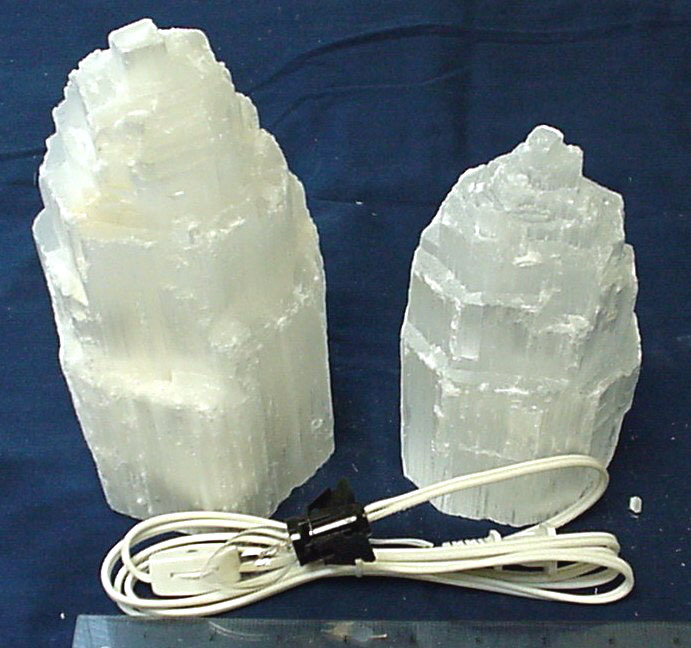 White Selenite Lamps are another addition to our growing collection of natural stone items from Morocco. Lamp has a hole drilled into it from the bottom for a light. Lamps come in 3 sizes: Small is approx. 7" tall, Large are approx. 14" tall and Extra Large are approx. 15" tall. Please note that this is a product of nature and sizes WILL vary.